Traditional Mediterranean cooking is a celebration of goodness. At Zoes Kitchen, the celebration continues with fresh ingredients that make you feel as good as they taste. Every delicious item on the menu is made fresh daily and served with a generous side of Southern hospitality. In the Mediterranean, when friends and family gather to share a meal, it’s always a delicious event. 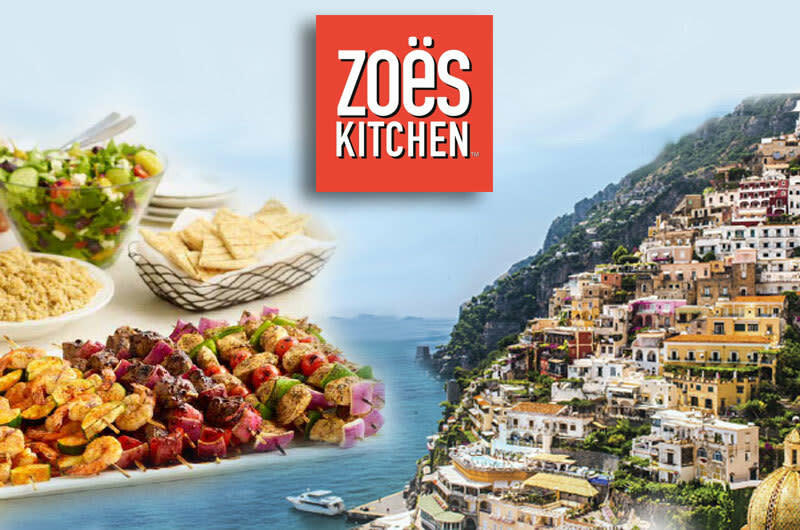 Whether you're catering an office meeting, having a few girlfriends over for a light lunch, or serving a full dinner buffet, Zoes Kitchen can create a package designed to fit any event, taste and budget — all delivered to your door.